We know how tough and mind-numbing college can get sometimes. We’ve all had those moments where you want to give up because of how repetitive our schedules look. But don’t worry too much about that, it is natural to want a break from the stress that college may bring. Our advice to you is to take some time out of your week to put aside your laptop and enjoy an activity on our list. One of the best ways to survive college is to take some time to blow off some steam and hang out with a group of your favorite people to pass the time. 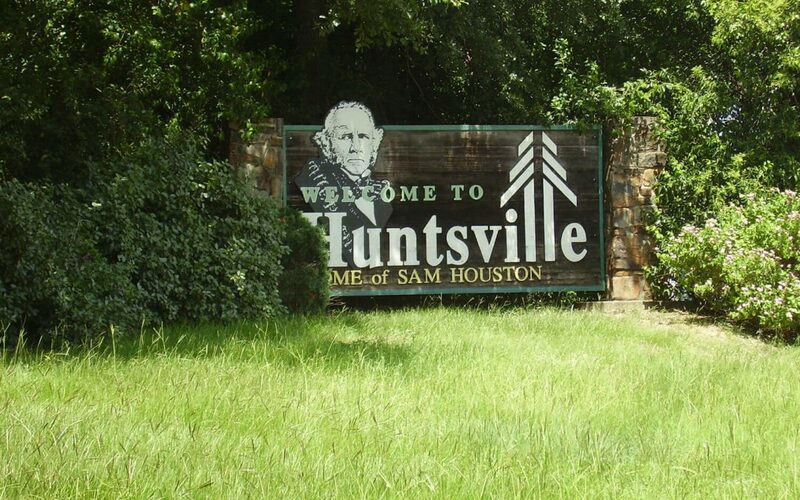 Huntsville, TX is a college town offering plenty of fun activities for SHSU students. Although our town isn’t as big as Dallas or Houston, it is located in the perfect spot to enjoy the wonders of East Texas. From adventuring through town to scuba diving at the Blue Lagoon, there are plenty of youthful activities to do. The Huntsville area will have you getting in touch with nature and enjoying best of the Texas Outdoors. We’ll start things off nice and easy. The Huntsville area is surrounded by plenty of green to explore. Don’t be surprised when you run into some of the best areas to camp in Texas. We are proud to say how much care the community has shown the wildlife around this area. East Texas is the best region in the state to have fun in the wild. The Blue Lagoon is a great place to get your scuba diving certification. Once you complete the training, you can go anywhere in the world and scuba dive into the water. This is probably the best college investment you can make if you’re an aquatic enthusiast. Just imagine yourself diving in the clear waters of Mexico or Thailand for vacation! You’ll love going out the Huntsville State Park and enjoying the fresh Texan air. There are plenty of woods, trails, and water to have a fun college adventure for the day. The locals love to go out and fish, camp, hike, bike, picnic, swim, paddle, geocache and discover what else the park can offer. The Huntsville State Park is the perfect spot for you to enjoy a nice campfire with your friends and take a break from your hard studies. Note: Be careful around the water since it has been known to carry alligators. The Lonestar Hiking Trail can be accessed through the Huntsville State Park. It is full of beautiful scenery and covers over 100 miles of land. This trail is one of the most popular attractions at the Huntsville State Park. It is a great spot to go out and enjoy some classic birdwatching and discover the beauty of Texas nature. The Sam Houston National Forest is located between Huntsville, Conroe, Cleveland and Richards, Texas. This wide forest area offers plenty of green beauty and adventure to all of its visitors. It is a popular spot to go hiking, camping, boating, hunting, and fishing. This natural wonder is the complete package when it comes to outdoor fun and adventure. Just south from Huntsville is Lake Conroe. It is a great place to go for some summer fun under the sun with your friends. You can enjoy a good swim, go fishing, or go skiing on the lake. Who wouldn’t want to beat the heat at this gorgeous lake? Whether you’re looking forward to catching a tan or going for a refreshing dive, Lake Livingston is a great spot to enjoy a sunny day. The Livingston State Park offers plenty of accessible water points and camp areas to enjoy with your friends. It’s the perfect water escape from the college books. Are you big on sports? Don’t forget that Sam Houston State University has plenty of sports competitions to enjoy during the school year. From catching a football game at the Bowers Stadium to watching some exciting basketball at the Bernard G. Johnson Coliseum, there is plenty of fine talent to watch. Besides, you’ll be able to enjoy all of the action accompanied by your college friends and community. There isn’t any better way to spend some quality time with your fellow Bearkats! Let’s face it, not every college student has the time to dedicate themselves to playing college sports. That is why there are also recreational sports leagues on campus that will have you on your toes and staying active. The intramural sports program on campus doesn’t just have sports. They also offer various classes and groups for you to join and maintain a healthy lifestyle while you’re in college. You can take advantage of the outdoor recreation activities on and off campus for little to no cost to you. Every town has its history. Huntsville has some great museum and lovely spots to take some great pictures. There are also spots not too far from town that are perfect for a quick visit. The Gibbs-Powell Home is a historical landmark that used to be visited by Sam Houston. This spot used to be home to one of the General’s family friends and has been preserved for many years. This monument is an amazing display that highlights the 13 different flags that flew during the Texas Revolution. A small tribute to Texas legend Dr. Charles B. Stewart is located at the entrance of the park. He is the original designer of the Texas Lonestar flag. This museum is a dedication to the great General Sam Houston. It features some of the most historical buildings and items throughout the museum. It is the perfect place to learn more about our state for Texas and history fanatics! This unique museum has some popular exhibits that look into the Texan Death Row and some of the lives of the prisoners. It will give you a small taste of what prison life in Texas is like. From Music on Main Street to community runs, Huntsville does its best to deliver some fun activities for the community throughout the year. You’ll love how fun and free the celebrations can get and will want to join in on the rest of the fun. There are plenty of small-town lights to enjoy with the community and we promise you won’t want to miss out! Studying can get pretty tiring sometimes. Lucky for you, there are some good bars and grub spots around town that will help you take your mind off of studying. We know how important it is to give your mind a rest in order to be successful and graduate. So, put on your best outfit and go out and have fun with your friends tonight (Unless you need to study)!